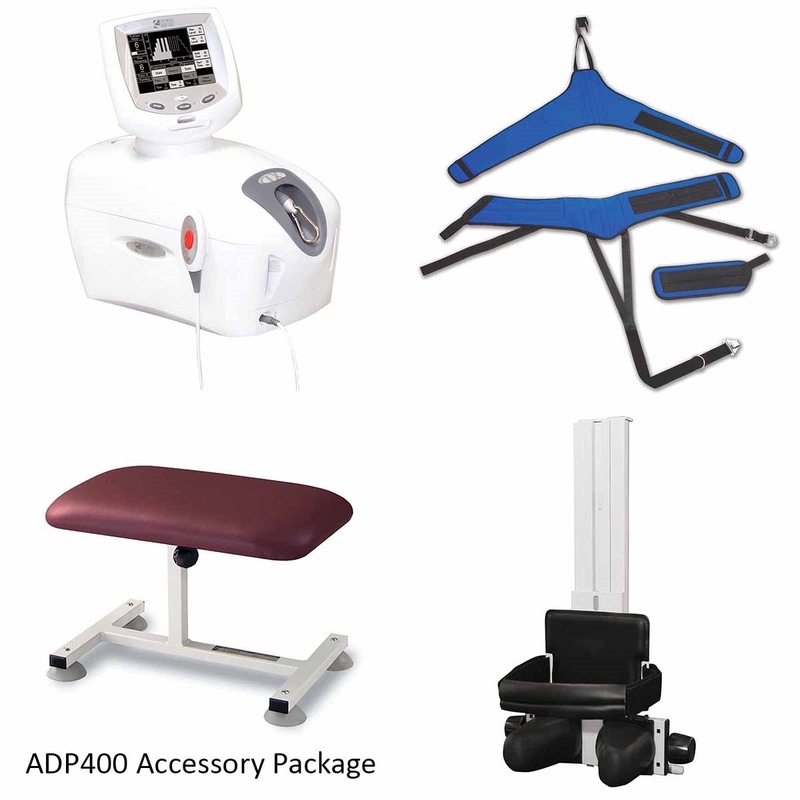 The ADP400 Traction Plan includes the ADP400 Traction Table, TX Traction Unit, Deluxe Universal Belt System, TXS-1 Flexion Stool and the Saunders Cervial Traction System. The split-section design of the ADP400 Traction Table allows the clinician to perform treatment with lower intensities than a continuous slab, as well as more effective intermittent traction. The elevating foot section can be used as a head section when providing cervical traction, positioning the patient in the semi-Fowler’s position; this also allows the clinician to change the angle of applied cervical traction. 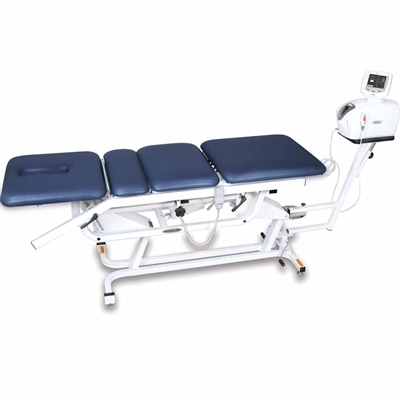 The adjustable head section allows for comfort in both prone and supine traction when delivering lumbar treatments. The table has a lift and can be used as an additional treatment table when not delivering traction. TX Traction Unit: is easy to operate. 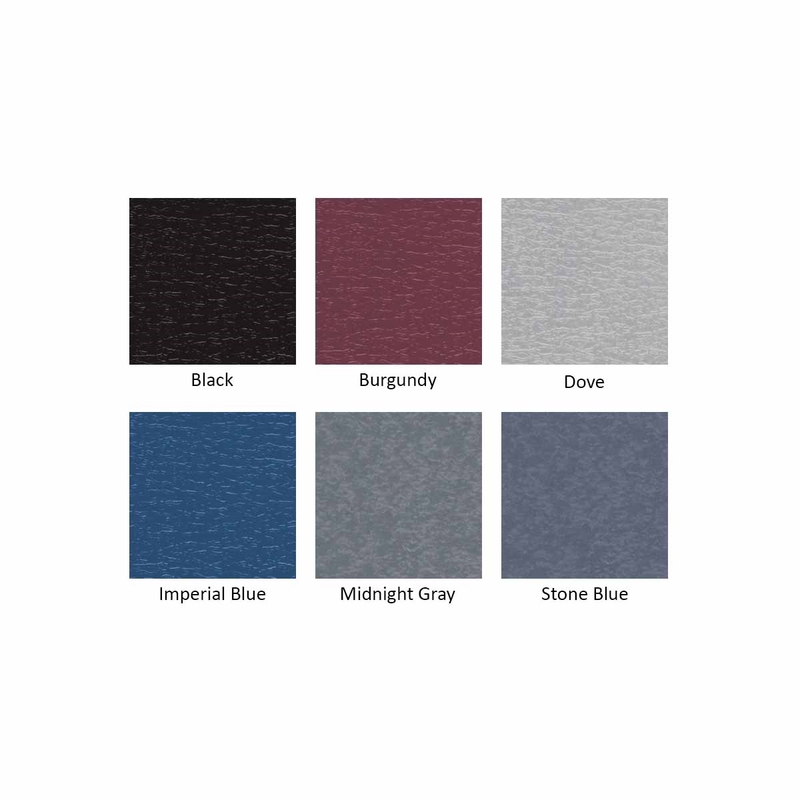 Has a 270° Pivoting User Interface, with a Digital Monochromatic Touch Screen Interface. The Patient Data Cards record up to 14 treatment sessions, and can store up to 10 user defined protocols. The TX Traction Unit has Intermittent, Static and Cyclic Traction, Progressive and Regressive steps. User-defined Hold, Rest and Treatment times. The Traction tension parameters: 0-200 lbs. TXS-1 Flexion Stool: adjustable height feature allows therapist to place lumbar spine into neutral or flexed position for increased patient comfort. The Stool Adjustable height is from 13" - 20" (33-51 cm). Saunders® Cervical Traction System: saves hours of set-up time. There are no uncomfortable head halters and no TMJ pressure with this comfortable approach to cervical traction. This unit pulls at base of occiput for more effective traction. Performs horizontal and unilateral traction. One size fits all patients. Clevis included to mount to TX® traction device.